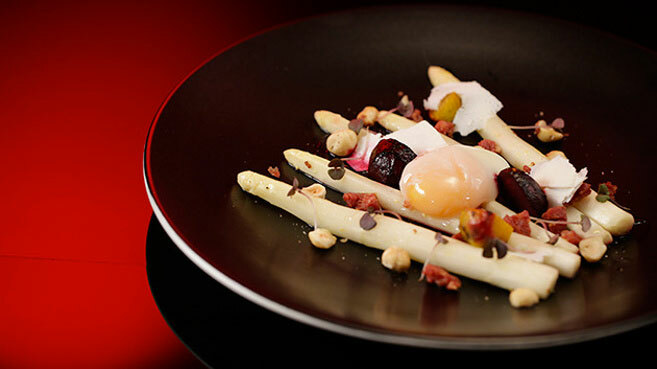 Ash & Camilla’s MKR Final Instant Restaurant “Dans La Maison” was the final Instant Restaurant this round. If they can beat Drasko & Bianca’s score of 51, they will be safe and stay in the competition. They were making good time in the shopping phase, but when they got home from the shops, they realised they didn’t have the lemons for the sorbet in their Gâteau Aux Trois Laits dessert. 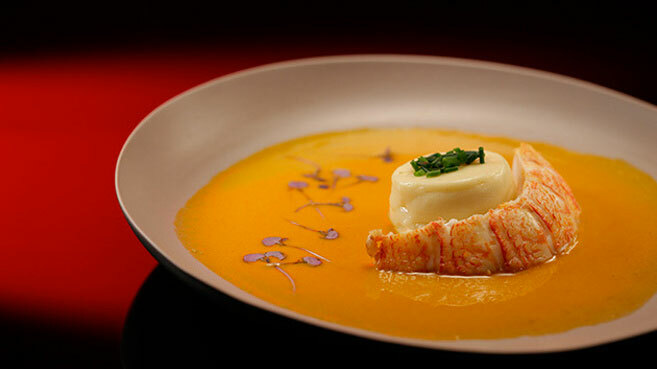 For entree, Ash & Camilla made a Scallop Mousse with Lobster Sauce Recipe. Manu had this dish. He said the plate looked very simple but “simply gorgeous”. The sauce was full of flavour and beautiful. There was a generous serving of the lobster and the dish showed great techniques. The second entree dish was an Asparagus Salad with 63 Degree Egg Recipe. Pete had this dish. He asked if they had eaten it before they served it. Camilla said she didn’t want to over season it. Pete said it was a little bit disjointed when you ate it. Parts were sweet, others salty and other sweet. It “wasn’t perfect” but still good. 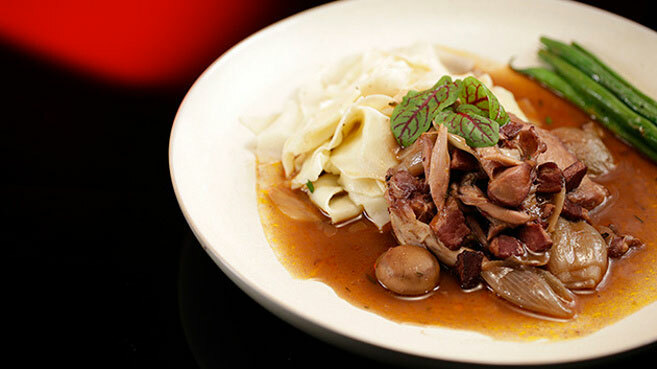 The first main dish in Ash and Camilla’s Instant Restaurant round was a Coq Au Vin with Pasta Recipe. Manu had this dish. He said all the right ingredients were there. The sauce was great and full of flavour, but the cut of meat was wrong. They should have used thigh meat instead of breast meat as it becomes dry when it is cooked for a long time. Manu would have also liked to have seen the pasta mixed with the rest of the dish. 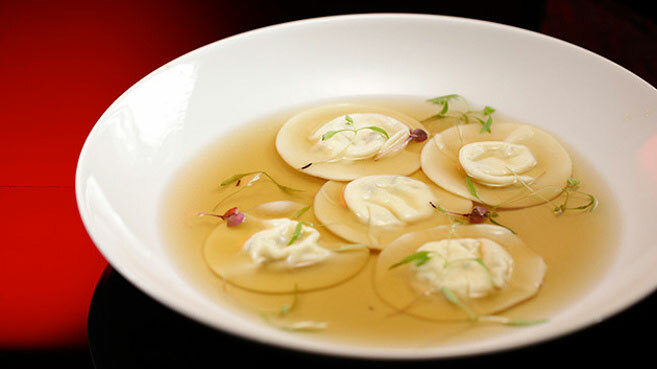 Ash and Camilla also made a Three Cheese Ravioli with Game Consommé Recipe. Pete said it looked gorgeous when it hit the table. He had never had these two ingredients in the same dish. If they were both perfectly executed it would be a good dish, but the Consommé was missing the game flavour. The ravioli were perfect. 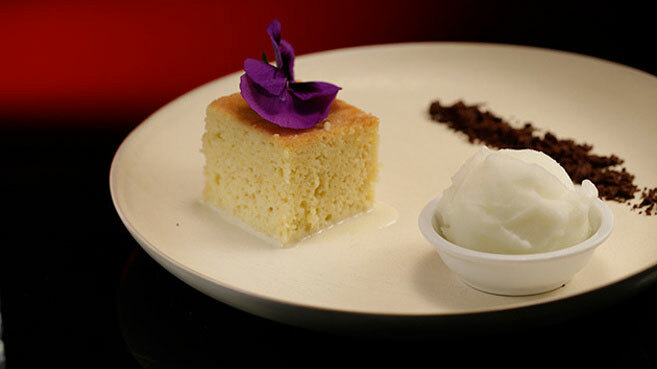 The first Dessert was Ash & Camilla’s Gâteau Aux Trois Laits Recipe. Pete enjoyed the rich cake and the chocolate soil. The sorbet was delicious on it’s own but did not match the dish. 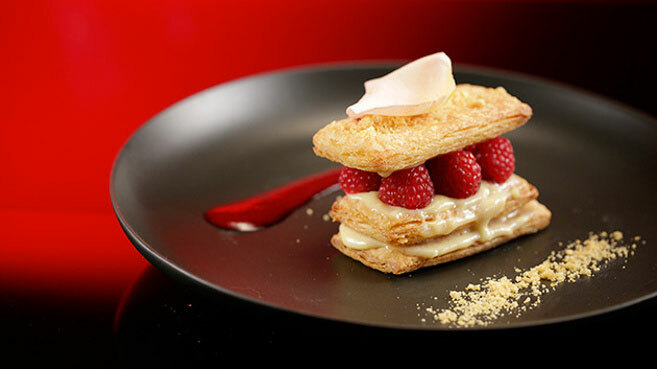 The final dish of the night was Ash & Camilla’s Mille-Feuille Recipe. Manu firstly asks if the puff pastry was bought or home made. He said it was well worth making it themselves, he was very impressed. He said it was delicious, crispy, buttery and sweet and it was well worth making. He said the layers of pastry should have been cut in half to have extra layers. Ash & Camilla scored a total of 62 tonight and are safe. Drasko & Bianca have been eliminated from the competition. They didn’t reveal the individual scores of the teams in this episode… I wonder what that could mean!